I used linen cardstock, which has a nice textured surface. 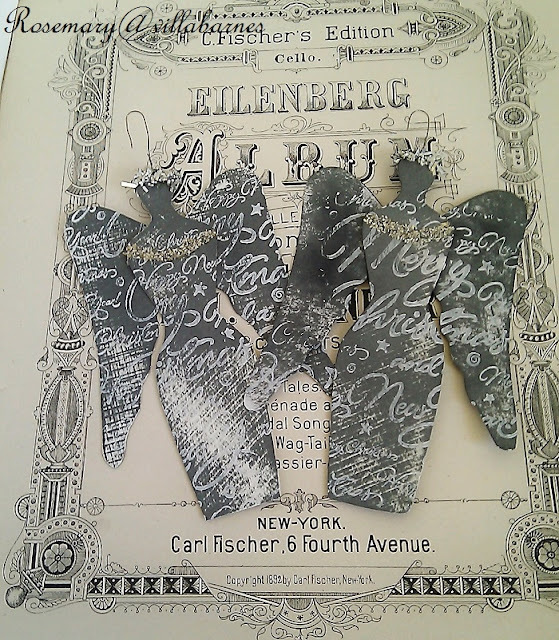 Charcoal ink, and, white paint was used for the design. 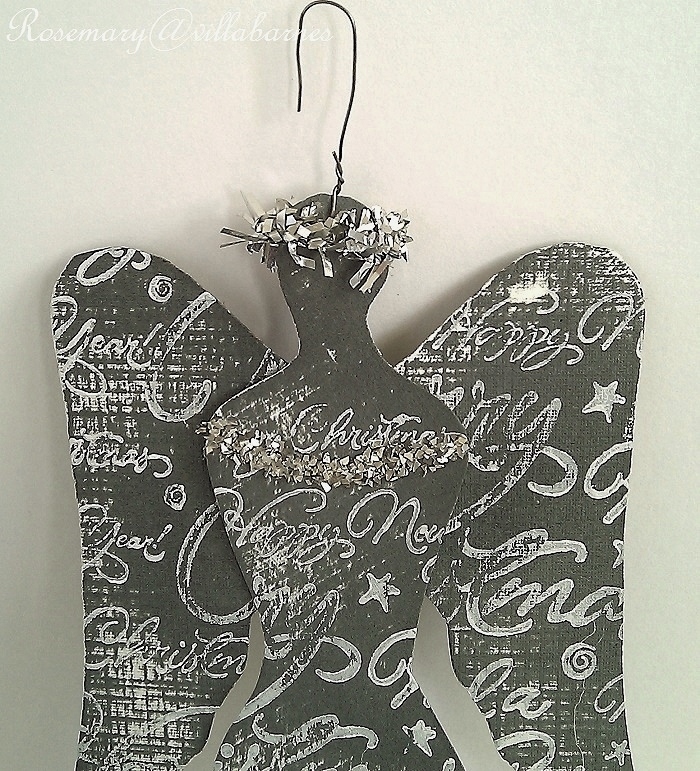 A little glitter, and, tinsel was added, along with a wire for hanging. I did not neglect the back. 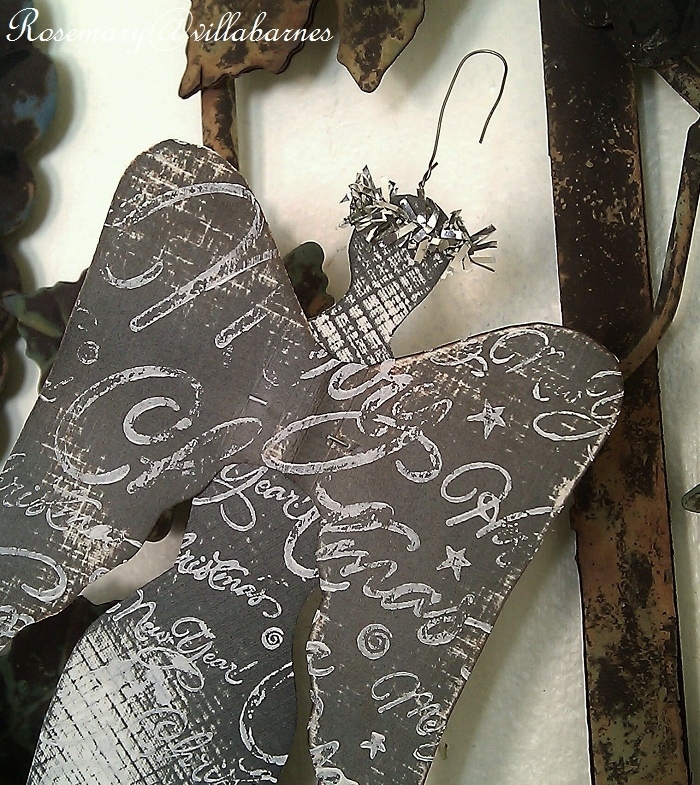 I'll be taking some of my ornaments to the Chesterton, IN "Mistletoe Market" on December 5th. Working on stacked paper trees too. This one has sold already. So, I have a bunch more to make. Is it just me, or, is this year winding down fast? 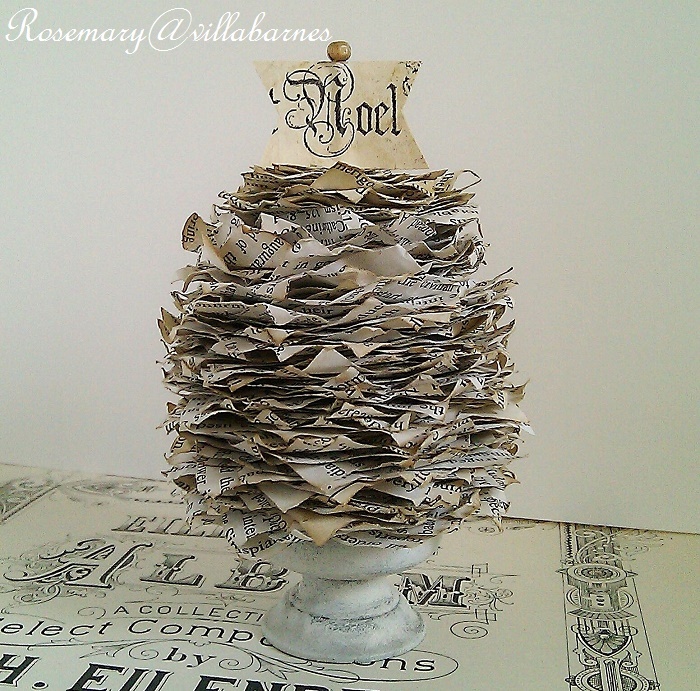 I'll continue to list on Etsy, while getting ready for my show. Yes 2015 is winding down very quickly. i so wish I could attend your "mistletoe market" for you create such beautiful things. I wish you could as well, Vera. I think the year is closing in quickly. It is always like this it seems at the holidays especially. I know with you getting ready for your market shows it probably feels like the time moves even faster. Love the angel ornaments and that paper tree is adorable. Have a great week end. Yes, working constantly definitely makes time fly. My package arrived at my home safe and sound from you... The wreath was a beautiful surprise and looks so perfect in my home, I can't wait to post it over the holidays. 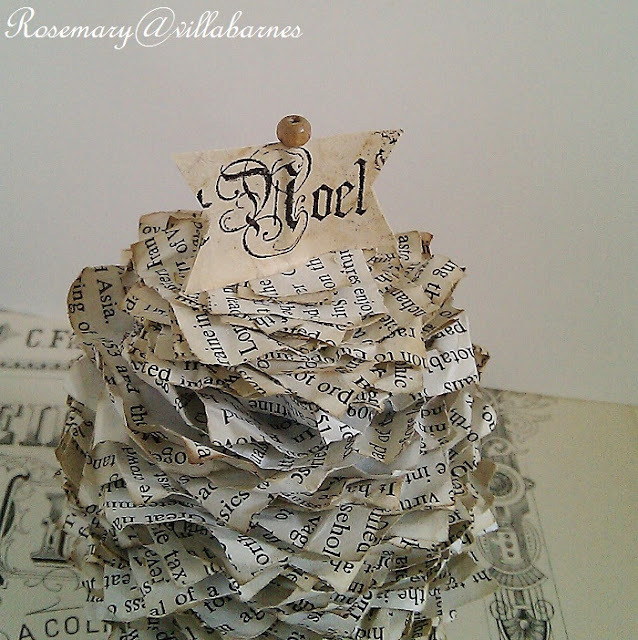 I adore the beautiful work into the bent tips of the old book ephemera pages, it's really a wreath to love. See you soon Rosemary, your angels will sell out I am sure. I'm so glad you like the wreath, Dore. 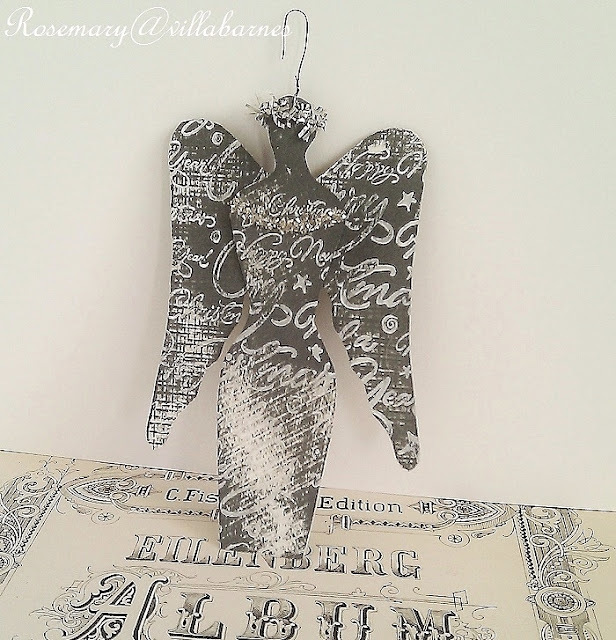 What beautiful beautiful Angels...... and your lovely aged paper tree with it's distressed stand is so gorgeous. I'm sure your Mistletoe Market will be a big success. And yes..with all the festivities and preparation, the year seems to be quickly coming to an end. Thank you so much for sharing your talents! <3 I hope your day is blessed. I want angel--how do I purchase one? I will be listing more in my Etsy shop. You can find it on the right hand side of this page.